All you need are these FREE Printables, a printer, paper (I used A4 photo-paper), snack size zip-lock bags, a large box of Maltesers, a bag of red Jaffas & a stapler. Just fill the bag with some Maltesers and add one red Jaffa for Rudolph’s nose – you could do 8 Maltesers & one Jaffa if you want the exact number of Reindeer. Then cut out the printable, fold & staple – yep it’s that simple! Miss M’s Kindy friends all loved them & she enjoyed giving them out just as much! Here is the link for the free printables (Kate has heaps of other really cool stuff too!). 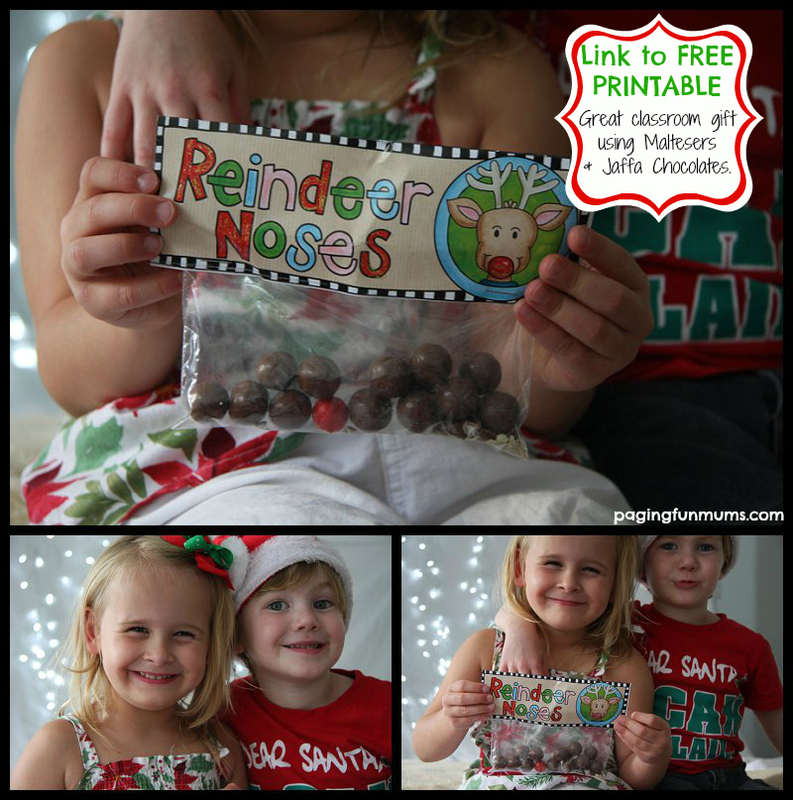 I am so glad your kids and their friends enjoyed their Reindeer Noses! 🙂 Thanks so much for mentioning my designs – Merry Christmas!! Can you please email me the picture? I tried looking on your wall but there were too many pictures to go through!!! I’d love to do this for the kids at kindy!